Turning a dream and a passion into a career is something this mama has done with flair. From launching a kitsch bakery to starting a very successful cookery blog, contributing to many of the region’s best print magazines to publishing a cookbook – all with 2 very little kids – we love her ‘get-up-and-go’ attitude, the very important work she undertakes to help find a cure for Glaucoma and her very yummy recipes! 1) Tell us about your business/businesses and why you started them. I moved to Dubai when we launched the first bakery specialising in American bakes called Kitsch Cupcakes in 2008. I then started a blog with my recipes called Dalia’s Kitchen and moved on to writing for magazines such as BBC Good Food and Harper’s Bazaar Arabia. In 2013, I wrote a cookbook “Food, Love and Life from Dalia’s Kitchen” which is available at major bookstores. I’m working on two new ventures that are still in the development stage and I will share those in due time. 2) What do you feel have been your biggest achievements both in your personal life and career so far? I’m not sure I would call it an achievement, but I have turned my dream into my profession and that feels wonderful. 3) As a child what did you dream of being when you ‘grew up’? I dreamed of being a lawyer as I loved Perry Mason (at a very young age! ), and then I wanted to be a psychologist. I grew up in Paris so the love for food was always there, but my parents were not necessarily keen on sending me all the way to NYC for college to then start baking cakes. Which I ended up doing anyways! 4) If you had 3 wishes, what would they be? Apart from the obvious one – our region becoming safe and sound for everyone, as it’s only going from bad to worse! My main wish is to find a cure for Glaucoma, a serious eye disease, which my nephew suffers from. Our foundation, Sunrise K, is aiming to raise awareness and fund a treatment for this disease that affects 1 in 200 adults and 1 in 10,000 children. And last but not least, that life takes it usual path for my loved ones, with no unexpected heartaches. 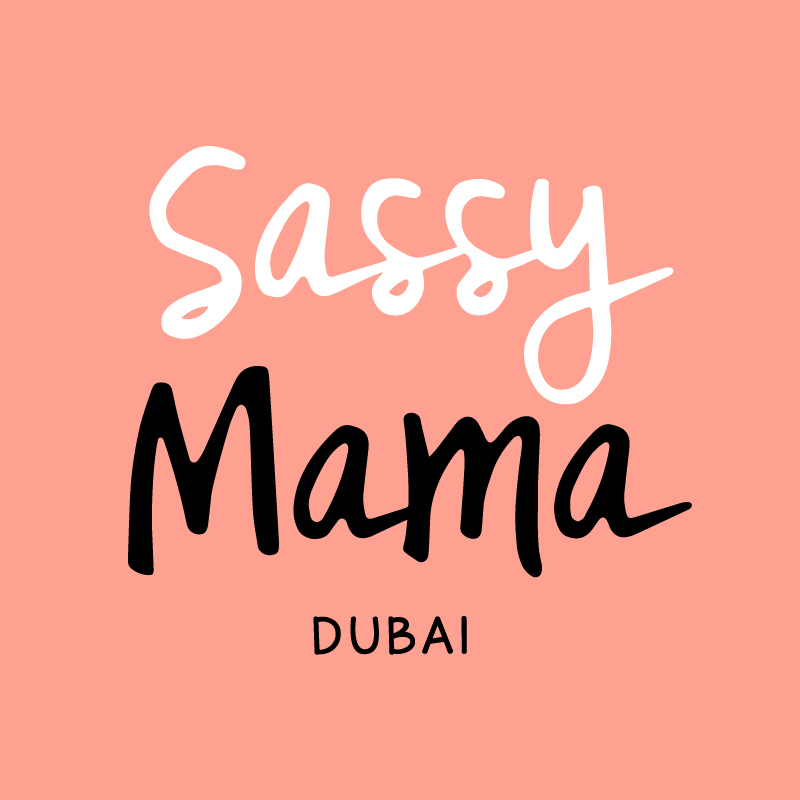 5) What does being a Sassy Mama mean to you? That some way some how, you manage to make things work for your family and your professional life. 6) What’s a typical day in your life like? Running around juggling the family and work meetings. I’m constantly on the run and there’s never time to finish my to do list! 7) What’s your guilty pleasure? Crime shows and Laederach Schokolade. 8) What’s the best advice you’ve ever been given in your personal life and career? To enjoy the ride and not just focus on that goal. The ride is the best part believe it or not. 9) What do you most enjoy doing as a family in Dubai? I love family BBQs that involve everyone, from my husband to my children doing their part in the kitchen. 10) What is the ‘best-kept’ secret in Dubai, something fellow mamas should know about? The fish market, take your kids there to see all types of seafood and then go home and cook it with them. My kids love it! 11) Which three words best describe your personality? 12) What advice would you have for a new mama? Take it easy on yourself. You will know what to do in due time. 13) What advice would you give to a mama who wants to go back to work or start her own business but is worried about juggling family and career? The grass is always greener on the other side. If you’re really ambitious about something – go for it and follow that drive because you will regret if you don’t do it. But I must admit that I often wish I were a stay at home mom and not miss a single second of the little ones growing up as it goes too fast. So both sides have their sweet and their bitter side! 14) If you were on an island and could bring only 3 things (family not included) what would they be? My iPhone, my notebook and cheese. If Only It Were True by Marc Levy. The Kite Runner by Khaled Hosseini. The Devil In the Kitchen By Marco Pierre White. I love to look good, but I love to be comfortable even more. So comfort and style have to go together. 17) If there was a movie produced about your life, who would you choose to play you and why? Julia Roberts. I simply love her big laugh and strong but charming appearance. 18) Tell us something funny that your kids have said or done. I tend to misplace everything (not my proudest moments). Just yesterday, my son forgot to bring something to kindergarten, and told the teacher it wasn’t his fault as “my mami loses everything”. Thanks to The Studio for the gorgeous pics! Book your photography experience on (+971) (0)4 347 1745. Special thanks also to Sassy Mama Dani for coordinating mamas and photographers while juggling 3 little ones too!